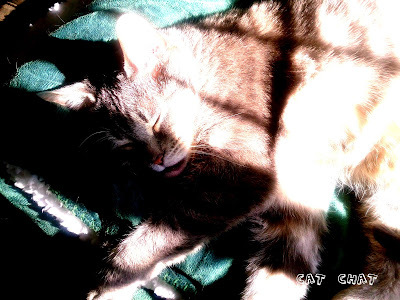 Cat Chat With Caren And Cody: "Don't Worry, Be Happy" with PURINA® BE HAPPY™ You Can Win A FREE T-Shirt! 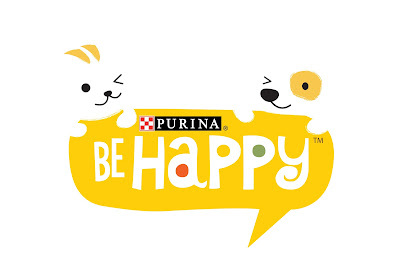 "Don't Worry, Be Happy" with PURINA® BE HAPPY™ You Can Win A FREE T-Shirt! It would be a whole lot better if he looked like THIS! Watching a cat soaking up the sun reminds us that there’s more good in the world than not, if you just know where to sniff it out. That’s the philosophy behind a new brand of cat food inspired by the enduring happiness pets share with owners. Be Happy™ debuts nationwide with calls to action for owners to join the happiness movement. Be Happy is a new pet food brand by Nestlé Purina PetCare Company that celebrates happiness as a way of seeing the world. The brand has infused that philosophy into the packaging for its 100 percent complete and balanced dry cat food varieties, and into its social media properties, including its Facebook page and mobile photo app. In just three months, the brand’s Facebook page has grown to more than 100,000 highly-engaged fans. The Be Happy fans create e-cards, customize their own T-shirts and upload photos from the Be Happy mobile photo app available in the iTunes and Google Play stores. The app enables people to customize photos with visual elements like dog ears, hearts, borders, the Be Happy characters and thought bubbles for happy messages. In addition, the brand launched a Pinterest page that includes a board for “Happiness Art,” featuring original craft projects inspired by the Be Happy philosophy. To experience Be Happy on Pinterest, please visit Pinterest.com/BeHappybyPurina. Be Happy is a dry pet food available nationwide in cat and dog formulas. It helps support strong bones and teeth, healthy vision, and healthy skin and coat. In addition, the brand offers the Purina Happiness Guarantee: if a consumer is not completely satisfied with his or her experience, Be Happy will provide a refund. For more product information about Be Happy, please visit Purina.com/BeHappy. For social engagement, please visit us at www.Facebook.com/PurinaBeHappy. Here’s how we’re hoping you’ll help share the happiness too! The Be Happy™ Facebook page has an area where their fans can create custom t-shirts. The great folks at Purina are giving me 5 free t-shirt codes to give to 5 WINNERS! U.S. ONLY PLEASE (sorry!!!) All you have to do is create photos with the app or website and submit them to us. Submissions MUST BE POSTED ON the Cat Chat With Caren & Cody Facebook Page by 11pm EST MONDAY, SEPTEMBER 10th. Cody and I will pick 5 winners and announce them on WEDNESDAY SEPTEMBER 12th and we will send the FREE T-SHIRT CODES to the WINNERS!!! Be Happy brand dog and cat foods are manufactured/distributed by Nestle Purina PetCare Company, a global leader in the pet care industry. Nestle Purina PetCare promotes responsible pet care, humane education, community involvement and the positive bond between people and their pets. The North American headquarters for Nestle Purina PetCare is located at Checkerboard Square in St. Louis, Missouri. Nestle Purina PetCare is part of Swiss-based Nestle S.A. -- the world's largest food company. In full disclosure: we were not compensated for this post. We are members of the Purina Cat Blogger Panel and are happy to share this information with our readers! I don't know how it tastes yet, but I LOVE their cool Be Happy logo! Sounds like something I could try! I have never heard of Be Happy food from Purina eitehr , maybe it hasn´t come to Sweden yet ?? We will try to participate. What a happy fun thing to do! @Maggie yep it is brand new! @alasandra I hope so! I want to give away 5 codes for T-shirts! @Texas let us know what you think. Hope you will enter the contest! I want to give away T-shirt codes! @Katie ohhhh noooooooo I wasn't smiling. I don't smile. I leave the "smiling" to Dakota MOL!! @Sherlock you are welcome! Let us know what you think of it! Well, to be honest, I am not really all that Happy right now (with good reason, as you know) so I think I will watch this one from the sidelines. Maybe a little good cheer will rub off, eh? Hrrrumph. This is beside the point today, but we saw that creepy ad on TV with the man and his 2 cats wrapped around his ankles. I can't believe they'd actually air that! Have a great Thursday and be happy. I always love this motto! Yum! I just put that on my Mom's grocery list for next week...it might not be in our store just yet though because they're pokey getting new things BUT we'll probably give it a try anyway!! Be happy! I love the philosophy! Well we hadn't heard of this food yet either. We sure will check it out. What could be better than a Happy food. Thanks for this great review. Wowwie! Wes has tried the dog food. The hairy slobbery sisters LOVES it! Sob. 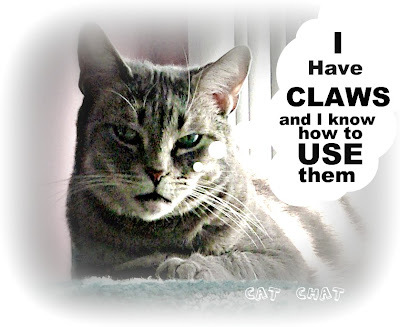 That picture with the claws slogan makes me weep and wail and gnash my tiny teefs (well, I would if I knew what gnashing meant). My claws! My beautiful CLAWS! They was clipped! They's all blunted now! I'm sooooo bummed. Thank you for the chance to win. I added my design to your facebook page.